An evocative and chilling ghost story from the creator of the internationally acclaimed Moorehawke Trilogy. Vivid descriptions and consistently polished, well-paced prose... A gripping, highly original ghost story. 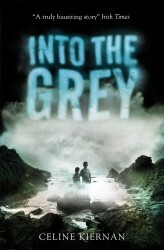 Young teenagers will be gripped by this supernatural thriller... An impressive work for the 12+ age group... Offers thrills alongside an important, but understated, lesson in humanity. ...Her most impressive fiction to date. This is writing of an extremely high order, eloquent in its imagination and warm in its empathetic humanity.